There are so many benefits to having an energy efficient home year round. Most people are more aware of the benefits during the winter. This typically means your home holds in heat because it is sealed and efficiently distributes heat when needed. But what is an energy efficient home in the summer and why is it important in the Poconos? There are many benefits to having an energy efficient home in the summer. You will save money on your utilities costs, you are eligible for tax breaks, and you will be comfortable. While those are the more obvious benefits of energy efficiency in your home, how can you achieve them? Here are a few of the more common and immediately effective ways to improve the energy efficiency of your home this summer! Air leaks: Air leaks are an easily discovered and easily fixed issue that leads to wasted energy. Track down any air leaks in your home where your cool air could be escaping. Some of the common places are air ducts and windows. Seal any areas in your home where air is leaking and causing your air conditioning to work extra hard this summer! You will see the benefits of finding and fixing air leaks this summer and over all of the summers to come! Thermostat: Do you have an older home? You may be suffering from an outdated thermostat! This is a quick and easy fix with dramatic results. Older thermostats tend to lack the programming of more recent technology. Once you have a programmable thermostat, be sure to plan your heating and cooling around the time of day, rooms affected, and occupancy. For example, if you're at work all day but want to come home to a cool house, you can program your thermostat to turn on the air conditioning half an hour before you get home instead of leaving it on all day. The average energy bill is reduced by 10% with this technology upgrade alone! Air filters and air vents: A commonly over-looked summer fix is updating your air filters and vents. Heating your home all winter fills your air filters with dirt and grime and plugs your air vents with dust. In order to increase your cooling efficiency at home this summer, be sure to change out your dirty air filters and to clean your air vents! This will allow your HVAC system to run more efficiently. Fans: While it sounds so obvious, this is a frequently overlooked and simple answer to increasing energy efficiency in the summer at home. Try installing ceiling fans to increase air circulation while lowering the use of your A/C. 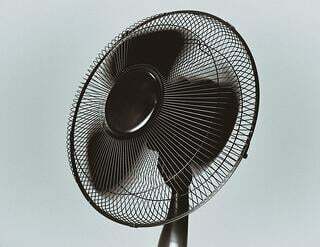 Box fans in windows will also help circulate air, pulling the hot air in your home out or, at night, reversing it to pull cooler air in your home. Fans are a great way to decrease utility costs and increase energy efficiency in the summer! Light bulbs: While you're already up on a ladder cleaning your air vents, change out your light bulbs to energy efficient options! 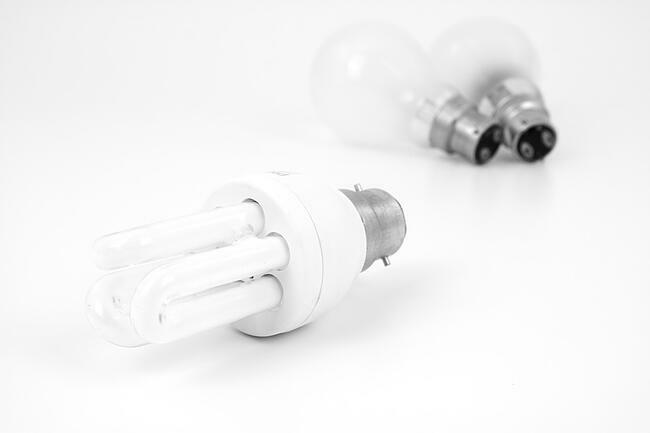 LED light bulbs are a great, simple way to decrease utility costs this summer! They are low cost and easy to install. Don't miss out on this easy upgrade to increase your house's energy efficiency this summer. All of these examples are easily DIY projects, so get ready for summer now by preparing your home to be more energy efficient! You will be glad you did in a few months when you see your savings in your bills. If you are looking to move to the Poconos and want to build an energy efficient home for you and for family to ensure that you are comfortable, contact us! We would be happy to help you with any questions or concerns you may have!